This book is intended for self-study or as a textbook for graduate students or advanced undergraduates. It presupposes some basic knowledge of point-set topology and a solid foundation in linear algebra. Otherwise, it develops all of the commutative algebra, sheaf-theory and cohomology needed to understand the material. It also presents applications to robotics and other fields. Dr. Smith is a professor of mathematics at Drexel University in Philadelphia. I've just received Justin Smith's hefty volume and upon first reading am greatly impressed. I've skimmed thru several chapters and sections and found the text clear, the proofs detailed, and the many worked out examples bring the material to life. (For example, his discussion of the Sylvester matrix and Residual is a model of clarity and likewise for his treatment of projective space. If schemes have eluded you, try out his exposition.) This book seems positioned above Cox, Little, O'Shea and is to me clearer than Hartshorn or Eisenbud,albeit slightly less detailed technically. 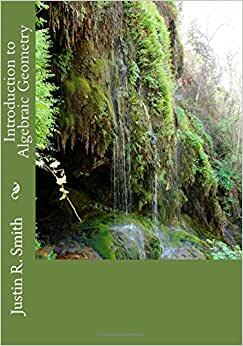 Not only do you get a nice intro to algebraic geometry, you also get a complete review of algebra, sheaves, vector bundles, and cohomology (which take up 1/2 the entire book!) as well as solutions/hints to hundreds of problems. If one has to quibble, and I don't, one could lament that the author focuses on (usually complete) fields of characteristic 0, omitting largely char p. And, as one other review has pointed out, there are a number of typos -- but I often find them fun to try to find. Finally, I can highly recommend this book on price alone -- It is a wonderful addition to the literature on the field and a real help for self-study..
My only complaint about this book is that it contains a large number of typos, I'm constantly writing in the book to fix errors. Other than that, I like it. It's well organized and easy to read. Very useful and clear textbook. Extremely readable. Author provides motivation and examples. I want to thank the author and ask him to write more! Very well written. Easy to read. This work is intended for common people with a weak algebraic niveau, who secretly dreamed on a detailed and well thought introduction to an esoteric area: algebraic geometry. I think It has largely fulfilled my expectations. It starts with curves and their intersection, (Bezout's Theorem), polynomials and formal power series (including Gröbner bases, Weierstrass preparation theorem and various versions Hilbert's Nullstellensatz); it dels then with affine varieties, schemes, projective varieties, divisors and finally ends (in chapter six) with two proofs of the classic Riemann-Roch theorem for algebraic curves. 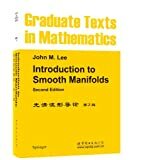 Half of the content consists in four detailed and well crafted appendices dealing with rings, fields, modules, tensor and exterior algebras, vector bundles, sheaves and cohomology. Solutions of selected exercises are given as well as a glossary of terms and notations. Many beautiful illustrations and several links with other disciplines are included. Short historical notices and a wide bibliography complete this amazing book. I thank the author for writing such an exciting and affordable masterpiece, saving no effort in being intuitive, patient, comprehensive, simple and rigorous. Maybe the connoisseurs will not rejoice, since this book opens a new door into their domains. K. Kendigs' books have now a good companion.